Anyone looking to become more depressed about Jon Stewart’s impending departure from The Daily Show would be wise to revisit the October 2013 episode in which Stewart interviewed former Secretary Of Health And Human Services Kathleen Sebelius about the glitchy, disastrous rollout of Obamacare. Stewart was in top form, holding Sebelius’ feet to the flames in an interview as droll as it was unyielding, a precise balance Stewart mastered somewhere in his journey to becoming America’s most treasured political satirist. There’s no shortage of equally deft moments to illustrate how massive a loss Stewart represents, but the Sebelius interview springs to mind because, as ham-handed introductions go, Obamacare is to public policy as the selection of Stewart’s successor is to late-night comedy. Thirty-one-year-old South African comic Trevor Noah has been tapped to take over when Stewart leaves the show, a decision that spawned the ouroboros of backlashes. Depending on whom you ask and at which stage of the backlash cycle you ask them, Noah is either a bright, young comedian with a unique worldview that will refresh the franchise, or a drunken frat-boy who’s been handed the keys to cable’s most venerated late-night brand. The hubbub won’t die down until well after Noah officially takes over, but there’s one person who could have spared The Daily Show its awkward transition, and his name is Larry Wilmore. If there’s a tragedy in the show’s succession plan, it’s not so much that Noah was named as Stewart’s successor, it’s that Wilmore wasn’t. Granted, Wilmore has his hands full with The Nightly Show, having been selected by Stewart to take over the post-Daily Show slot left open when Stephen Colbert decamped for CBS’ Late Show. The Nightly Show toddled out of the gate, as late-night talk formats invariably do, but its initial awkwardness was rooted exclusively in its untested format, which is equal parts Daily Show newsdesk jokes and Bill Maher-style current-affairs roundtable. Wilmore was confident out of the gate, and with good reason, given that he started appearing as a Daily Show correspondent in 2006. Wilmore’s easy charm has solidified further since The Nightly Show began, and though the show is only capable of rising to the level of its roundtable guests, Wilmore has been consistently smart and lively even when his panel doesn’t give him much to work with. Meanwhile, the public response to Noah mirrors the response to Sarah Palin when she was announced as John McCain’s running mate, adding further irony given how much mileage the show got out of Palin’s time in the spotlight. First came the “Wait, who?” phase, based on Noah having only joined the show in December and logging just two appearances before his promotion. Then came the “No seriously, who?” phase, in which Noah was fully vetted. That process included a deep dive into his Twitter feed, revealing jokes that, if not anti-Semitic, misogynist, and homophobic as some detractors argued, were at least puerile and unfunny. (One example: “Almost bumped a Jewish kid crossing the road. He didn’t look b4 crossing but I still would have felt so bad in my german car!”) More recently, Noah has been branded a joke thief by a couple of his peers. It’s an accusation unlikely to resonate with most of the public, but any criticism is a potent threat when there’s already blood in the water. The conversation around the anti-Noah backlash has been focused on the content of Noah’s tweets, the composition of his allegedly plagiarized jokes, and the Twittersphere’s tendency to harshly rebuke anything and anyone. But the issue with Noah’s selection isn’t about larger issues of the point at which comedy becomes too offensive or too derivative, the perils of publicly workshopping jokes, or social media shaming, and it isn’t entirely fair to place the blame squarely at Noah’s feet. Noah isn’t the right person to take over The Daily Show because of what the show became under Stewart’s leadership. After Stewart announced his departure, a rumor circulated that he was being considered to take over The NBC Nightly News after a fabrication scandal hobbled Brian Williams. At first blush, the rumor was surprising but not inconceivable, proof that Stewart is viewed as a news anchor as much as he’s viewed as a comedian, despite how vigorously he protests when The Daily Show is framed as a news source rather than a comedy show. There are plenty of sources for political satire, but The Daily Show is the only source in which the jokes are the means rather than the end. The national political discourse is the most contentious it’s been in recent memory, while Fox News Channel reigns supreme as the country’s most-watched cable news source and, according to a recent poll, its most trusted. The Daily Show is far more to its audience than a joke delivery system, it’s a beacon of common sense in a country beset by strident, aimless debate and mendacious media. Noah’s hiring was heralded by some as a shrewd move by Comedy Central because he’s young, handsome, and perhaps most importantly, cheap. Details about Noah’s salary have yet to leak, but it’s safe to say Noah’s pay will land somewhere well below Stewart’s estimated $25 to $30 million annual salary. There’s also the matter of experience, and while it seems like Noah has none, he spent several years as the host of a South African satirical news show modeled after The Daily Show. But because of the show’s outsize role in the political conversation, Noah isn’t being vetted as a comedian or a late-night talk show host. For as qualified as Noah is to host The Daily Show, he might as well be trying to take over NBC’s Meet The Press. Noah’s Twitter feed could be completely free of offensive humor, he could be totally unblemished by joke theft accusations, and he could have another couple years of Daily Show experience under his belt, but he still wouldn’t be the right man for the job. At 31, Noah is even younger than such beloved correspondents as Stephen Colbert and Steve Carell were when they joined the show. His youth is a major negative because gravitas and world-weariness are required of a news anchor, and Noah has only energy and irreverence to offer. While the controversy around the nature of his humor seems like an independent controversy, it stemmed from a desire to find proof that Noah is exactly what he looks like: a charming, affable naif better suited to succeed Daniel Tosh than Stewart. Wilmore’s age and presence make him a better fit to host The Daily Show, and if there was any doubt about his potential, his nascent The Nightly Show success has put it to rest. To be clear, it doesn’t appear that Wilmore was passed over for the gig. As speculation ran rampant, and names like Tina Fey and Louis C.K. reportedly passed on the job, Wilmore wasn’t mentioned among them because he had already taken his name out of the running. 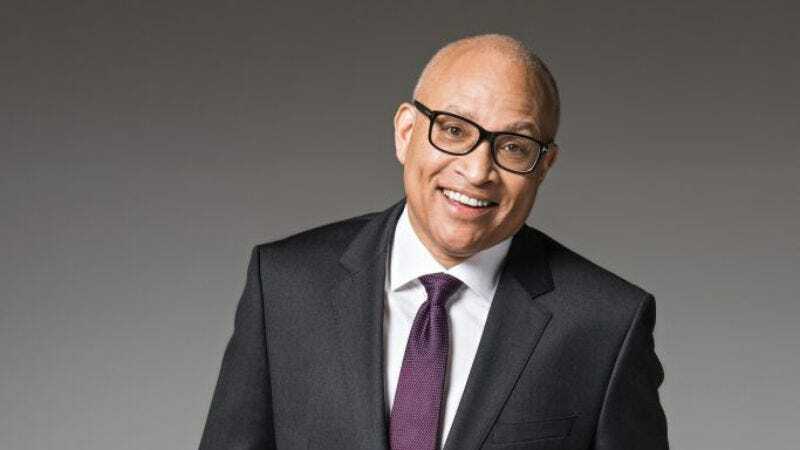 After Stewart’s departure was announced, Wilmore addressed the vacancy on The Nightly Show, reassuring his nervous staff that he was staying put. Wilmore even recently came to Noah’s defense, saying the criticism has more to do with unfamiliarity than unfitness. It’s understandable that Wilmore would want to stay where he is. It spares many the discomfort of staff shuffling that would almost certainly result in the elimination of redundant roles, and it gives him an opportunity to build a new enterprise rather than inviting the scrutiny the Daily Show chair carries with it. But it’s tempting to wonder what might have been, if David Letterman had stayed put at Late Show for another year and Wilmore hadn’t already struck out on his own. Noah’s appointment almost certainly means The Daily Show will never be the show it was under Stewart’s leadership. There will still be journalists to puncture pomposity and hold politicians accountable and comedians to crack jokes, but audiences seeking both in one place will have to transition from Daily to Nightly.